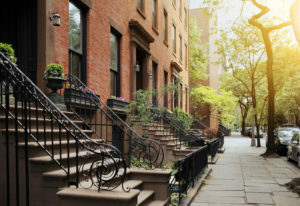 4 Tips You Need to Know for Hiring Movers in Boston. If you have an upcoming move planned, you want to hire the best movers in the area that you can find. To do that, there are a number of factors to consider. To start with, you want to determine if you will only be using a company’s moving services or if you want help with packing and unpacking, as well. That way, you can begin your search for a company that offers the type of services that you need. Ask for referrals from trusted friends, family members, co-workers, neighbors, and even your real estate agent. In addition, take the time to read reviews for companies of interest. With the combined information, you will have a much easier time identifying several good candidates. Regardless of the time of year when you plan to move, look for movers in the Boston area that have a reliable crew. Some companies will hire temporary workers as opposed to using regular employees, especially during the summer months when the number of moves is high. With that, you have no real guarantee that the crew is properly trained or dedicated to doing a great job. Therefore, look for moving companies that actually maintain a crew of employees all year round. You also need to look for movers in the area who are fully licensed, insured, and bonded. Even if companies of interest provide you with a copy of policies as proof, go a step further by contacting the provider to verify that everything is current and in good standing. The last thing that you want to happen is to hire a moving company thinking that your possessions are covered by insurance only for there to be some mishap whereby your items are destroyed and not covered. Make sure that the movers in Boston on your short list insist on sending a company representative to your home to assess the situation and provide you with a written estimate. If at any time a company wants to give you an estimate over the phone, turn the other direction. For one thing, by seeing what items are involved, the moving company will be able to schedule correctly. With a written estimate based on the goods to be moved, unexpected fees will not surprise you later on. Fortunately, most movers in Boston do an exceptional job. To make sure that you hire the best company for your specific needs, it is important to consider all of the information provided so that you can make a well-informed decision.  Get Started Today – Give Rainbow Movers a Call! If you live in the Boston Metropolitan Area, including Providence, Rhode Island, we’re ready to answer your questions.